Walking has so many benefits. It’s good for physical health, but it also is good for emotional and mental health. It can be done with very little cost and in so many different ways. Walking with a partner is a good way to help each other keep to the routine. Families walking together regularly will making habits that will last, and can even become a family tradition. 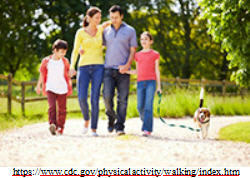 Walking is a great way to get the physical activity needed to obtain health benefits. Walking does not require any special skills. It also does not require a gym membership or expensive equipment. The physical benefits can include weight loss, and an increase in stamina and muscle endurance. You can help your weight loss efforts by taking an exercise bar about 30 – 45 minutes before you walk. I use one that jump starts my body’s fat burning process and helps me get through my 45 minute walks. Build up your walking routine slowly. If you overdo it, it can result in sore muscles or even shin splints. Always do warm up exercises and cool down exercises, stretching your muscles slowly and carefully. If you do over-work your muscles, use a good muscle cream to help sooth sore muscles and for deep, soothing pain relief. I use a good one that contains camphor, menthol, methol salicylate and melaleuca oil. If the weather doesn’t allow you to walk outside, go to a mall. Click here to learn more about the products I use. 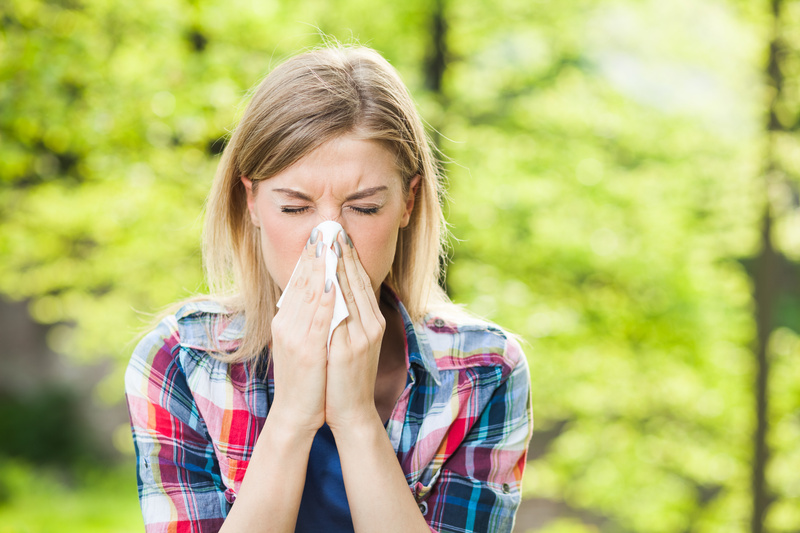 In spring and summer, we are used to anticipating allergies but this Healthline article points out that allergies can visit us in every season. It points out which exterior causes trigger which allergies. And did you know that not all allergens are generated from the outdoors? Many allergens are sourced to the inside our homes. Many come from the household cleaners we use and even our laundry products. The article continues to identify which allergies occur in which seasons, how to cope or avoid them and diagnosing them. Naturally, your doctor can prescribe medications that in most cases provide relief. I represent a wellness company that produces many natural alternatives as well as a full line of eco-friendly cleaning and laundry products, which can make a huge difference in your in-home environment. If you are in business, whether it is one you own or one you manage, you are going to make mistakes. Those mistakes are inevitable. They are part of your business’s and your own personal growth and ultimate success. It is how you personally respond to those mistakes that can make a huge difference in your effectiveness as a manager or an owner. As this article from the Harvard Business Review states, playing the “blame game” never works. Those who work with you and for you observe your behavior when a mistake is made either by you or someone for whom you are responsible. If you assume responsibility, you are not taking the blame. After all, you are the boss or manager, so you are responsible. 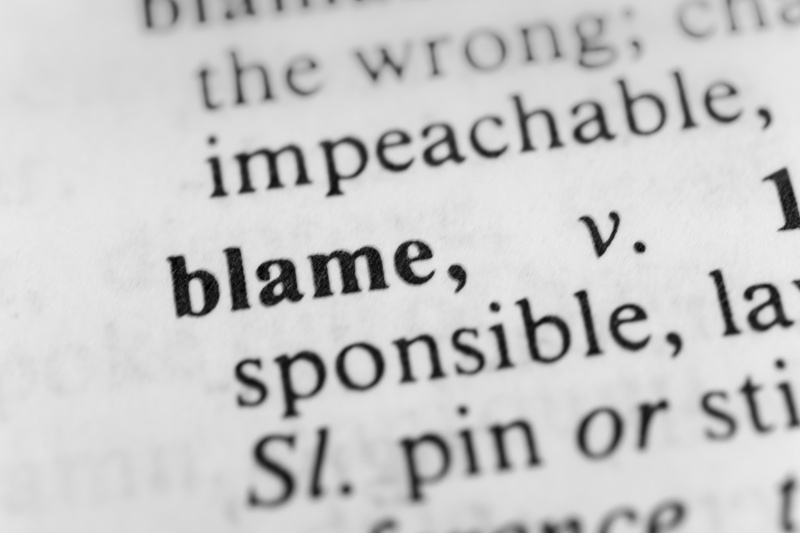 Sometimes the blame does belong to someone else, so it has to be addressed. The way you handle it can be a learning moment for those you work with, so be constructive, not destructive. A good manager or owner always creates a psychological environment of security so that others are not afraid to take risks because that creates the success of the mission statement. The article suggests that focusing on learning from those mistakes, even rewarding them creates a culture where no one is resistant to innovation. Blaming produces the opposite effect where everyone lives in fear and innovation is at best diluted and at worst invisible. For decades, DEET has been the most popular active ingredient in insect repellents. This article from Scientific American offers some interesting insights into reasons why you may want to look for some alternatives. Fully 25% of the subjects tested experienced negative health effects that have been linked to the use of DEET (diethyltoluamide). It goes on to suggest that DEET can cause diffuse brain cell death and behavioral changes in adults. It can also cause rashes and skin irritation, numb or burning lips, nausea, dizziness and difficulties with concentration. So the ingredient that scares off mosquitoes should scare off humans, as well. There are some new alternatives that are virtually risk-free. The risks to children, as you might imagine, are even greater. Quantum Health tells us here to be wary of using DEET on children and NEVER use it on infants. Children are more susceptible to subtle brain changes because their skin is more absorbent and their developing nervous systems have a higher potential for harm. Did you hear the story of a group of young teenage friends driving around looking for Volkswagen “bugs” and spraying them with repellent? Just good fun, huh? Not so fast. As a result of inhaling the repellent, one of the backseat passengers was vomiting for nearly a week and eventually had to be taken to the emergency room for treatment. So avoiding use AND any access is the best precautions you can take. There are, as I said, new alternatives to DEET that have been proven highly effective. My Company has developed and manufactures a completely natural insect repellent using essential oils. The dangers of DEET exist whether absorbed through the skin or through inhalation. When there are effective alternatives available, does it really make sense to expose yourself and your family to the dangers that DEET threatens? 400% of your daily vitamin A requirements are provided by one medium sweet potato. The article below from MedicalNewsToday tells us the health benefits don’t stop there. Along with that generous dose of Vitamin A, sweet potatoes contain loads of fiber and potassium. The additional benefits of this magical “spud” include decreasing the risk of obesity, diabetes, heart disease and overall mortality. 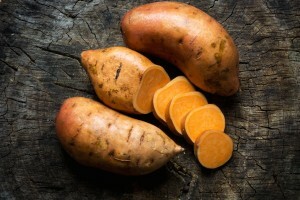 Read on and you will be informed of how each of these risks as well as blood pressure, cancer, digestion, fertility, immunity, inflammation and even vision are affected by the nutritionally packed sweet potato. Find ways in your daily diet to include this recognized “super food” and your health can and will be, improved. As you read on you will find additional ways that make it easy to adapt your daily food intake to include more sweet potatoes, more often. Several of the supplemental products I use include sweet potato extracts, which helped me make these dietary transitions. They’re easy to use and very tasty and affordable. So the next time you reach for that white ”baker”, think a little bit sweeter and pop in a sweet and get some big advantages. “Phthalates are a group of chemicals used to soften and increase the flexibility of plastic and vinyl. … Phthalates are used in hundreds of consumer products. Phthalates are used in cosmetics and personal care products, including perfume, hair spray, soap, shampoo, nail polish, and skin moisturizers. They are used in consumer products such as flexible plastic and vinyl toys, shower curtains, wallpaper, vinyl miniblinds, food packaging, and plastic wrap. What that means in a nutshell, is that they “… may interfere with the production or activity of hormones in the human endocrine system.” The human endocrine system controls many body functions, which include hormone production, pancreas, pituitary, thyroid, adrenal, and male and female reproductive glands. You can try to reduce the amount of phthalates you are exposed to. The way I see it, putting something directly on my skin or in my hair, (cosmetics and personal care products, including perfume, hair spray, soap, shampoo, nail polish, and skin moisturizers) that contain phthalates just doesn’t makes sense. Washing my clothes and dishes in detergents that contain phthalates doesn’t make sense. 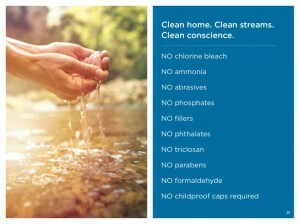 Cleaning my house with products that contain phthalates doesn’t make sense. I ask myself why I would do that when I know I can purchase high quality, economical products, WITHOUT phthalates. We can’t completely eliminate phthalates from our environment, but we can greatly reduce the amount of phthalates we are in direct contact with. Therefore I use products that are free from chemicals, including phthalates. If you would like to learn about the products I use, contact me (Martha) at 505-750-7857 or marthapmintl@gmail.com. RobardsHealthyLifestyles.com is a health and wellness website that promotes healthy lifestyles and products.